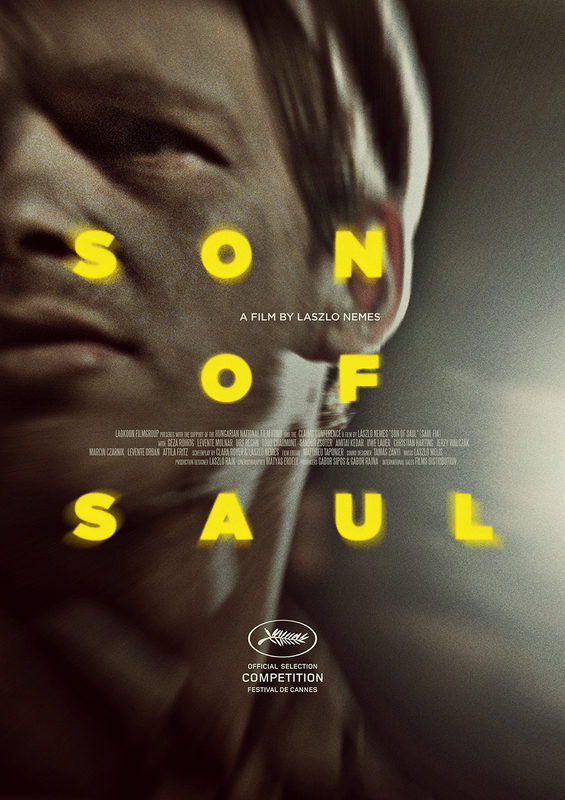 Having claimed a number of awards, including an Oscar for Best Foreign Language Film, since its debut at the 2015 Cannes Film Festival, Son of Saul has also been extremely well received by critics and was in many Top 10 lists at the end of last year. Through its central character of Saul Ausländer (Röhrig), we’re introduced to the Sonderkommandos, concentration camp work units that were usually comprised of Jews, and whose job it was to assist in the disposal of the people (and their belongings) who had been killed in the gas chambers. A Sonderkommando was never given a choice about their role, and though they had slightly better living conditions than the rest of the camp inmates, it was inevitable that they would be “retired” after three or four months of working. Against this backdrop, and the events that took place at Auschwitz in October 1944, first-time writer/director László Nemes has fashioned a grim, harrowing, and remarkable movie debut that acknowledges the horrors of the Holocaust while also allowing for rare moments of peace and beauty and hope amidst all the despair of life in a concentration camp. How Nemes does this is perhaps the most impressive aspect of the movie, as the camera – formidably handled by DoP Mátyás Erdély – sticks close to the character of Saul and rarely strays further than a foot away from his head or shoulders. When it does, though, and the larger picture of life in the camp is revealed, it has an impact that Nemes quite carefully cultivates for maximum effect. With the camera being so close to Saul, Nemes also distances the background by keeping it out of focus, a decision that fits with the world as Saul sees it. There will be viewers who will find this approach annoying, and perhaps less dramatic than if the wider “world” around Saul had been revealed in all its ugly wretchedness. But this would be to miss the point of Saul’s involvement with the rest of the camp. 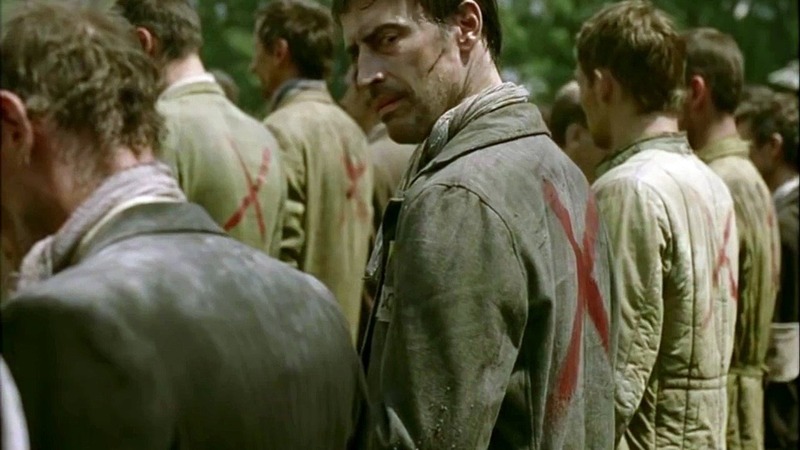 Even before he discovers the boy who survives the gas chamber – and then only to be summarily suffocated by a Nazi doctor – and takes him to be his son, Saul has chosen to survive in the camp by cutting himself off from everyone else, and only interacting with others when he needs to. So the movie’s visual design, where events happen around Saul and without his direct involvement, are kept fuzzy and indistinct, and where Saul has chosen to keep them. To mitigate against this distancing effect, however, Nemes has also made the movie’s sound design an integral part of the drama, as through the various sounds and noises of the camp, and those made by the inmates and the guards, the things that Saul chooses to ignore are made vividly obvious and given a chilling reality that offsets the visual composition. As the continual blurring of background images occurs so too does the sharpness of dialogue and sound effects, perhaps most effectively realised in the sequence where, with one of the gas chambers not ready to be used, the latest arrivals are taken out to the nearby woods and stripped and shot. It’s an incredible sequence, shot in a cinéma vérité style that reinforces the horrible expediency that cost so many people their lives. Away from the visual and aural decisions that make the movie look and sound like no other Holocaust movie before it, Saul’s story is a simple one: he wants to give the boy he believes to be his son a proper burial, and the attendant service given by a rabbi (Saul is not a practising religious man; as a result he doesn’t realise that a rabbi isn’t necessary for what he wants to do). Saul becomes obsessed with making his plan happen, but it proves harder to achieve than he thought. He’s unable to find a rabbi who will perform the ceremony, and his efforts to find one are constantly interrupted or foiled by the demands of some of the other Sonderkommandos. They’re planning an uprising, and want Saul to help them. His attempts to please them and also satisfy his own needs form the basis of the narrative, but Nemes makes it clear that Saul’s need to bury the boy is his first priority. Again, some viewers may have an issue with the single-mindedness that Saul adopts here, as he jeopardises both his own life and those of his fellow Sonderkommandos as he seeks out a rabbi. His determination is such that he acts recklessly, and seemingly without regard for his own safety or the safety of others. An attempt to photograph some of the atrocities carried out at the camp is nearly discovered thanks to Saul’s unthinking behaviour, and later, when he finds someone he believes to be a rabbi (Charmont), Saul nearly ends up being mistaken for a new arrival (and killed). And when circumstances dictate that the uprising needs to happen sooner than planned, Saul’s only concern is ensuring that the boy’s body is kept safe enough to be buried still. But it’s this dogged refusal to give up that enables Saul to keep going, it’s his way of retaining some humanity in the face of the wanton cruelty he sees each and every day. As Saul, Röhrig gives an incredible, melancholy performance that is built on telling expressions and a minimal amount of dialogue. Saul is a man consumed by reticence and detachment, focused on whatever he himself is doing at any given moment, and Röhrig, whose only previous acting experience was in a Hungarian TV show in 1989, shows the character’s distance from his surroundings as both a blessing and a curse. It’s a finely nuanced and controlled performance, intelligent and surprisingly emotive, and his ability to display a variety of emotions through the mask-like appearance Saul adopts in the camp is a masterclass in screen acting. In addressing the issue of the Sonderkommandos and their place in the concentration camps, Nemes is also giving a voice to the people who didn’t survive the camps. It’s a fine distinction to make when so many other Holocaust movies celebrate the survivors over the ones who met their fates in a gas chamber. It makes the movie a bleaker experience than most, and its haunting, distressing tone is all the more forceful and compelling because of it. 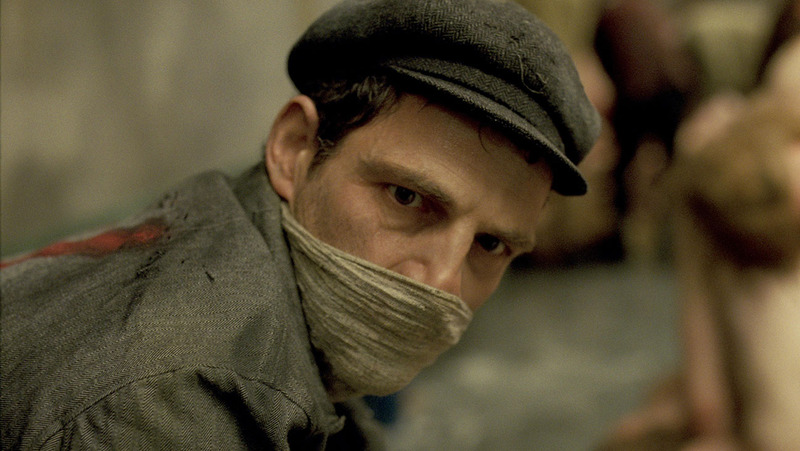 Son of Saul may not be a comfortable movie to watch, and it may not be rewarding in the traditional sense, but it is a testament to the tenacity and the courage of those who found themselves in one of the worst predicaments ever: that of aiding in the deaths of millions of people like themselves. 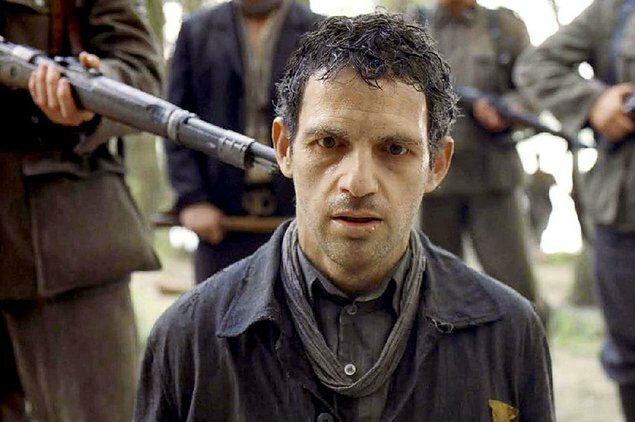 Rating: 9/10 – expertly handled, and refusing to indulge in any kind of melodrama, Son of Saul is one of the finest Holocaust movies ever made; intense, horrible (and horrifying), disturbing, and brilliant, there are moments that will linger in the memory, but in shining a light on a rarely discussed aspect of “life” in the camps, the movie earns its place in cinema history as an important historical record.